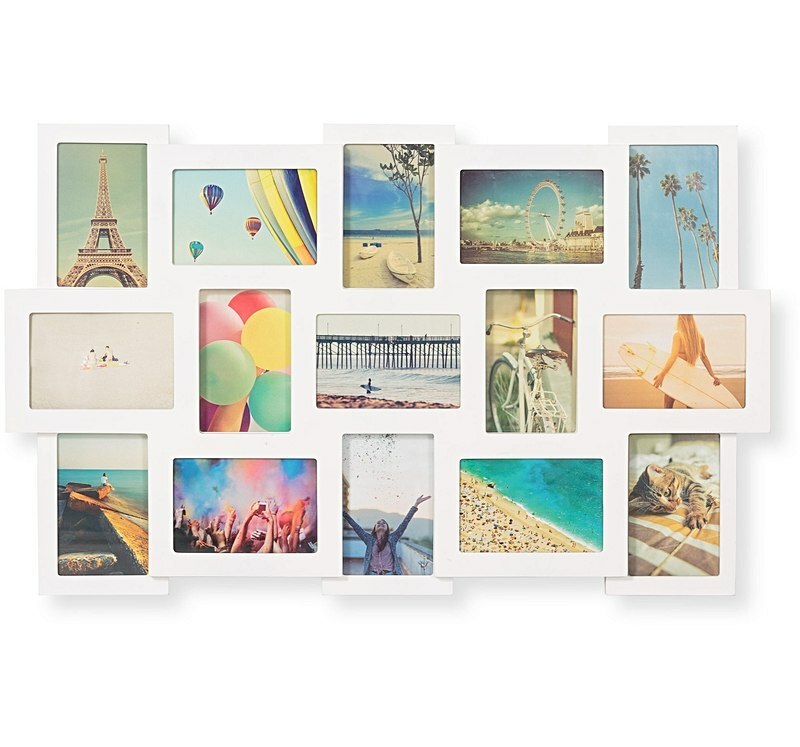 This fun collage of 8, 15 or 24 for 4" x 6" photo frame makes decorating a breeze! It looks great on a large, open living room wall, or above the bed. 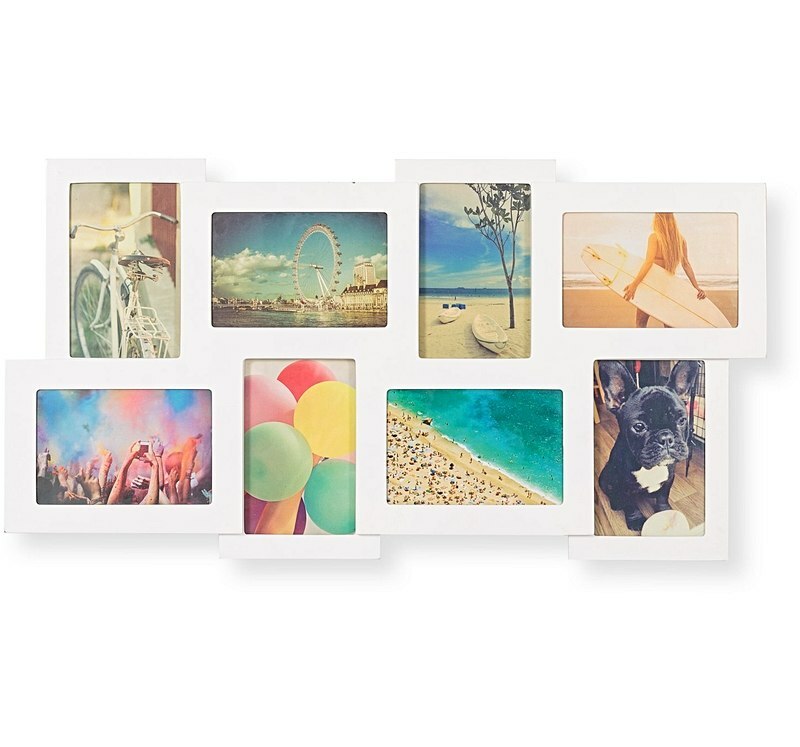 The white matte finish will give black and white images a 'floating' effect, and offer eye-catching contrast to full color photos of family vacations, weddings or good times with your best friends. 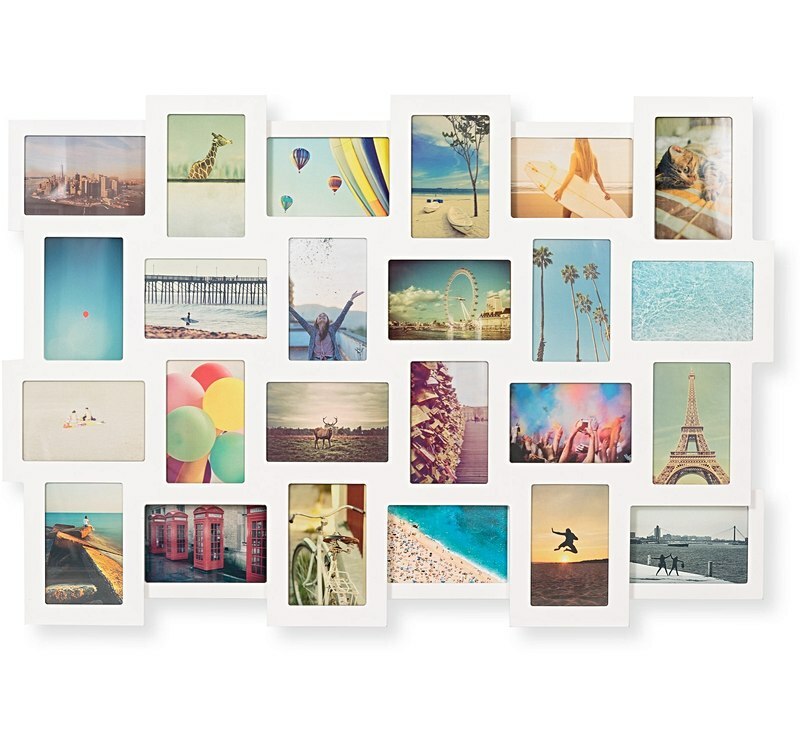 No need to stress over the perfect layout for your images - this frame does the work for you. 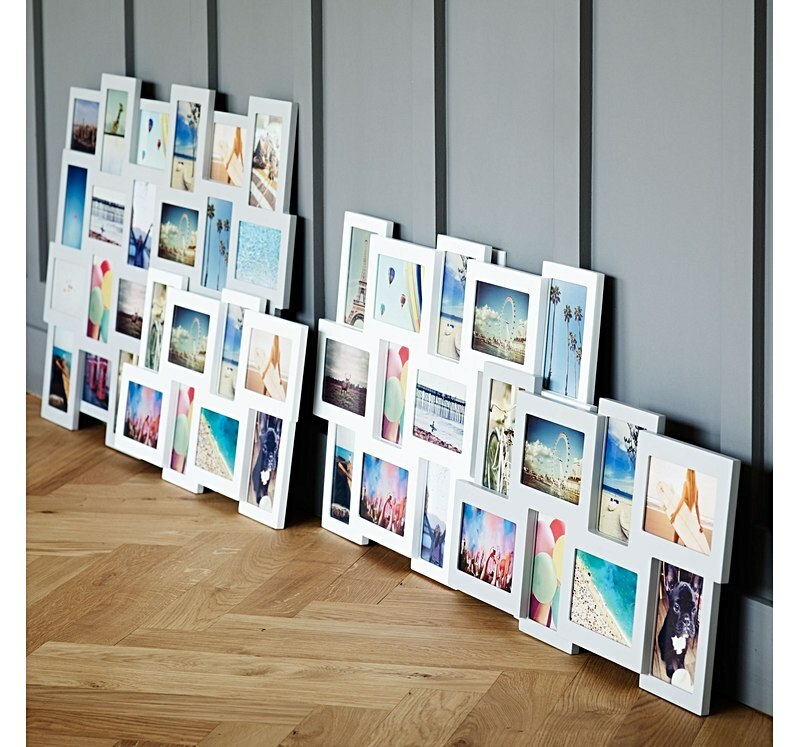 The combination of horizontal and vertical orientations gives you the freedom to choose your favorite photos. This frame is a wonderful choice for a birthday, wedding or anniversary gift.